SUPER SWEET HOME ON A SIZABLE LOT AND PRICED RIGHT! The floor plan is uncomplicated: living room, spacious eat in kitchen, 3 bedrooms and bath. Appliances in the kitchen include a refrigerator and oven/range. Nice sized laundry room right off the kitchen. Two window unit air conditioners remain with the house. Handy attached storage shed on the house. Lot Size: 24175 Sq. Ft. Directions:From exit 32 on I-64 go North on Hwy. 55 (Taylorsville Road). Right onto U.S. 60 (Midland Trail). Left on Hwy. 53 (Smithfield Road). Left on Sanford Lane. Right on Spruce Drive. Left on Bayberry Drive. Property is on the left. SchoolsClick map icons below to view information for schools near 1634 Bayberry Dr Shelbyville, KY 40065. 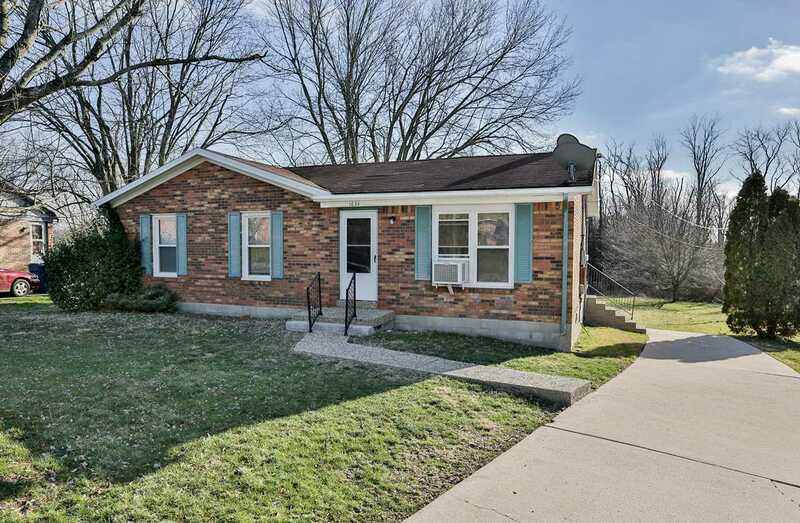 MLS # 1524476: This property at 1634 Bayberry Dr, Shelbyville, KY 40065 is located in the Arbor Green subdivision and is listed for $98,000. MLS # 1524476 has been on the market for 69 days.